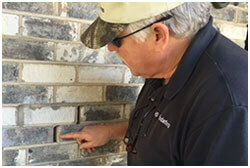 HD Foundations Offers Foundation Repair In Duncanville, TX. We Prevent Issues At Affordable Costs. Our Process Works. 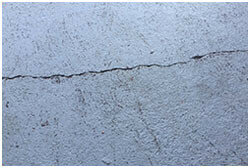 If Duncanville foundation repair is needed, call the contractors at HD Foundations. We prevent structural foundation problems and offer cost-effective service. Find out about our procedure and the lifetime warranty we offer Duncanville homeowners. When you need a foundation repair company, hire HD Foundations. We’re experienced contractors with an excellent Better Business Bureau rating. Why HD Foundations For Foundation Repair In Duncanville? Structural foundation damage is a serious concern. One of the best reasons to recruit HD Foundations to fix your foundation is that we know how to deal with destructive North Texas soils. Weather causes foundation upheaval and settling. It leads to pier and beam problems, plus wall, brick and concrete slab foundation cracks. 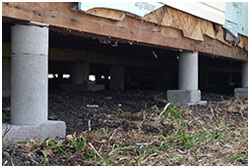 Our Duncanville service prevents foundation repair issues including wet crawl spaces under pier and beam structures. Temperatures in the DFW metroplex vary from 20-105 degrees. Weather and soil conditions cause foundation trouble. As a Duncanville foundation repair contractor that performs residential and commercial service, we can help. At HD Foundations, we’re known for our affordable foundation repair costs. When servicing houses in Duncanville, we install interior and exterior pressed concrete foundation piers or steel foundation pilings. Our installation costs are reasonable. We also offer a lifetime foundation repair warranty on our piers. It makes your foundation level and allows you to avoid future repair issues. HD Foundations raises your slab or pier and beam foundation as part of our repair procedure. This eliminates cracked foundations on all kinds of Duncanville structures. By using our house foundation repair process, we can help you prevent harmful fractures. If water or flooding around your foundation is an issue, count on us to install a foundation drainage system in Duncanville. Surface drains and French drains are highly effective. Receive A Lifetime Foundation Warranty. At HD Foundations, our guarantee is excellent and it’s transferrable. To find out more, request a foundation evaluation in Duncanville. Foundation repair estimates can be scheduled online today. Or, please just phone us.